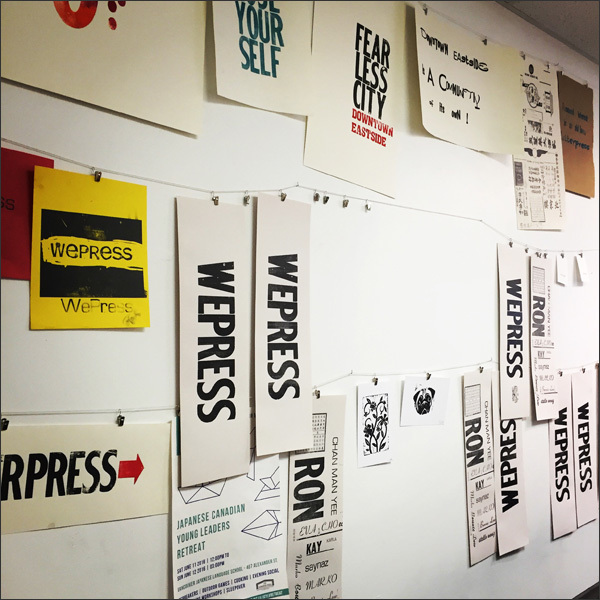 Have you heard of WePress? 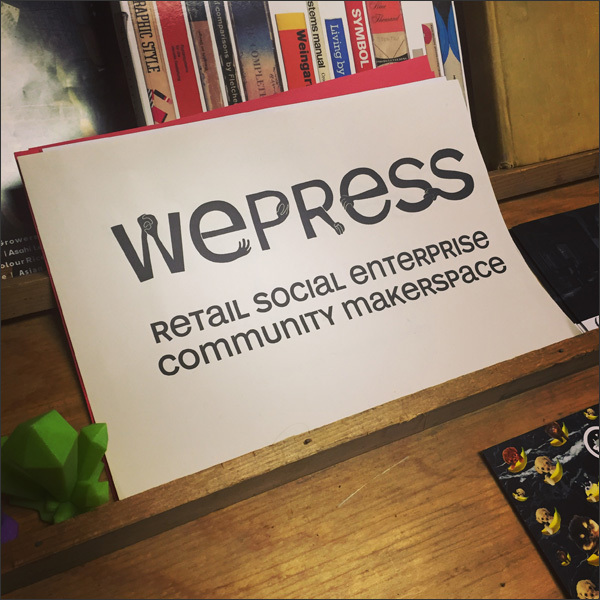 WePress is a new Community Makerspace in the Downtown Eastside (DTES) of Vancouver, BC. 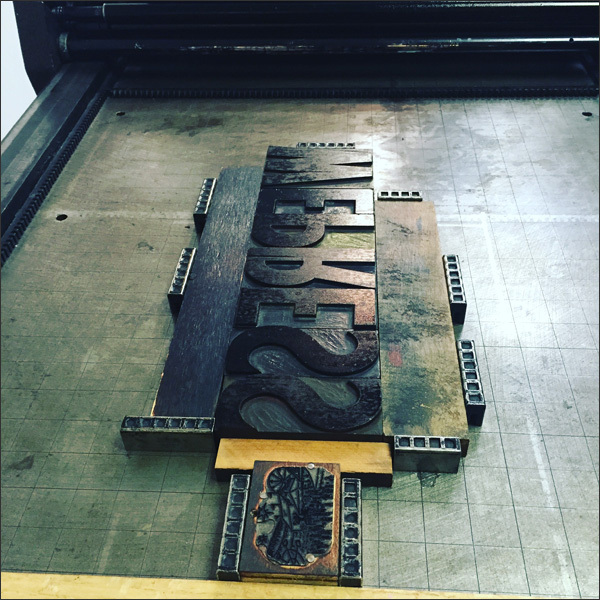 Their mission is to make technologies and the methods of the new maker culture accessible to DTES residents who wouldn’t normally have venues to be creative with a letterpress, a 3D printer and an industrial sewing machine. 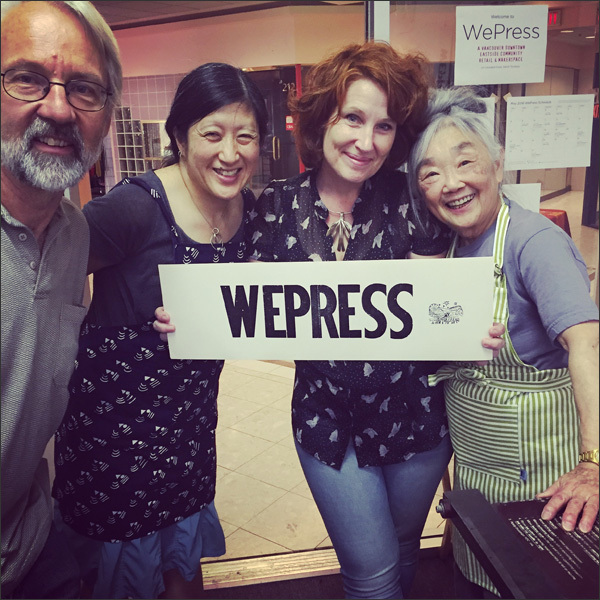 Their space is at #202 - 268 Keefer Street. Recently I went to one of their open houses. It was a blast! 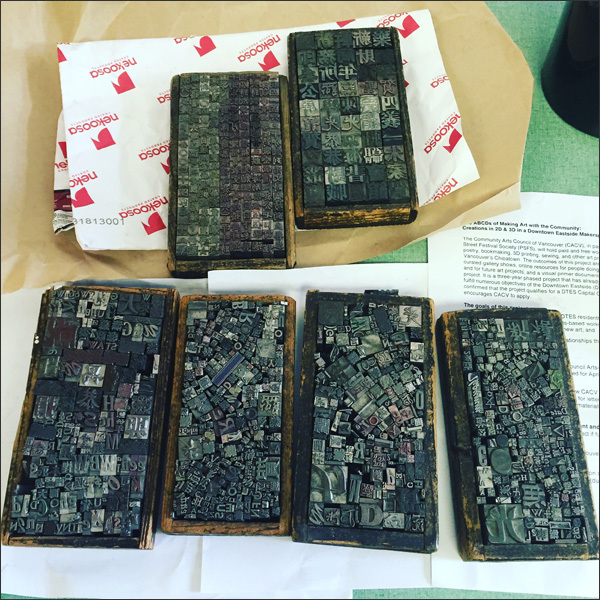 They demo-ed their letterpress. The lady on the left was beyond fun... And very sparkly! 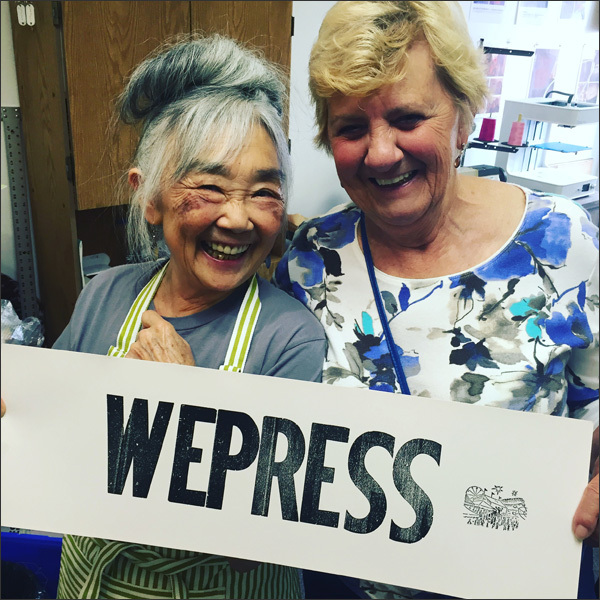 Here I am after demoing the letterpress with my test print. 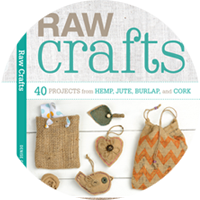 All of their workshops are $40 and are on a sliding scale - you pay what you can afford. At $40 they're a steal... 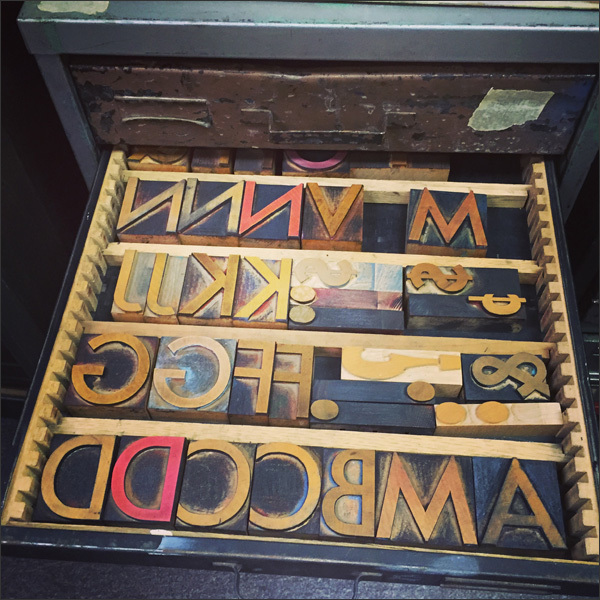 There's letterpress, block printmaking, calligraphy and bookmaking. 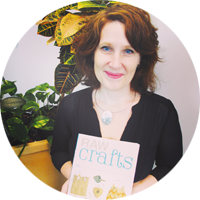 Check their calendar for upcoming workshops. I'm definitely going to one!